Public administrations, students, research staff and businesses are invited to participate in the “Smart Tourism” Conference, set to take place on the Campus Gandia of the Universitat Politècnica de València (UPV) on September 26 and 27, 2018. Registration is open and free. 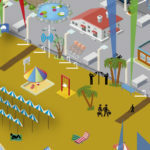 The conference is part of the project titled “IoT-based environmental monitoring of a tourist area for user information and service improvement. Pilot tests on the beaches of Benidorm, Gandia and Benicàssim”, funded by the collaboration agreement between Turisme Comunitat Valenciana and the UPV. Diana Morant, Mayor of Gandia; Raquel Huete, General Director of Tourism of the Generalitat Valenciana; Jesús Alba, Director of Campus Gandia and Eva Mestre, Director of the Conference and of the Degree in Tourism of the UPV, presented the content of the Conference in a press conference that took place in the city council of Gandia. Jesús Alba, director of Campus Gandia and also director of the Gandia Turismo Inteligente Chair that collaborates with the conference, said that the Campus offers great capabilities at the service of Smart Tourism, both from the point of view of research and its own students and graduates. “We turn out experts in Tourism, Environmental Science, Communication, Telecommunications and Interactive Technologies, fields that play major roles in the development of Smart Tourism,” he explained. Therefore, this is a great opportunity for our students to participate in this conference, and we encourage them to attend it,” continued Jesús Alba. 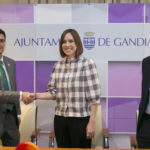 “The ‘Smart Tourism’ Conference is a unique opportunity for the tourism sector; for the debate, the exchange of experiences and the collaboration between all the agents that will make this revolution towards smart destinations a possibility,” said Diana Morant, Mayor of Gandia, at the press conference. “Becoming a smart destination does not mean doing the same with new technological applications; it means revolutionizing the tourism strategy, the business culture, increasing collaboration with the RDI system … and for this we need forums such as the one offered to us by this Conference, which will allow us to create synergies and detect opportunities for improvement “, explained the mayoress. On her part, Raquel Huete, Director General of Tourism, reported that the World Tourism Organization would be dedicated this year’s World Tourism Day (September 27) to Digital Transformation. “It is imperative that we know how to manage technology to our advantage, we cannot stay behind. Think about how we plan our vacations: we all use our mobile phones or our computer to research and book them,” said Raquel Huete. 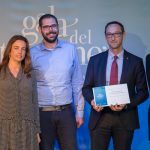 The General Director explained that the Generalitat Valenciana is, “working to promote a smart destination based on sustainability and energy efficiency, connectivity and information systems, which will encourage the smart development of business, with the participation of all the agents involved” .